Aprilia 170mm reflector wanted for a round case project. Prefer with reasonable silvering but will look at whatever comes along. Topic: Round case indicator lights question. 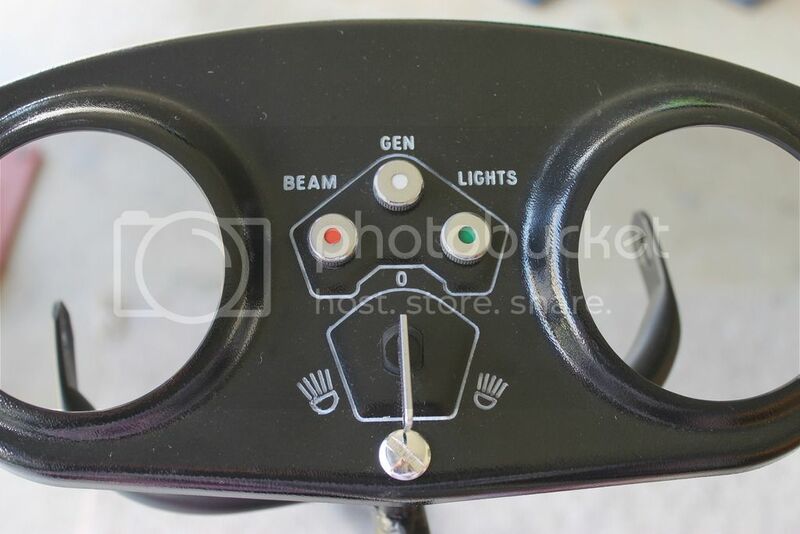 Re: Round case indicator lights question. Well I got the lights finished and tested and thanks for the ideas. The colours are not exact but I would rather them than a lot of the half broken types that you see. Thanks for the 2 replies. I will have a go when I get some plastic that looks right. I have original indicators but the coloured lenses are either missing or fallen out of place. I don't want to just colour the bulb. Anyone replaced these and what did you use and how did you get them into place? I believe that Machten, Ken, has regrettably passed away. Topic: Marzocchi fork internals wanted. I am restoring a1982 MHR 900 that was a basket case. I need to get some photos of where the wiring harness should fit. The areas that I need the most is in the vicinity of the steering stem and around the fuse box. Can someone help please.